One of Prime Minister Joseph Muscat’s spokesmen has been appointed to the board of a new authority for which he also serves as mouthpiece, Times of Malta is informed. 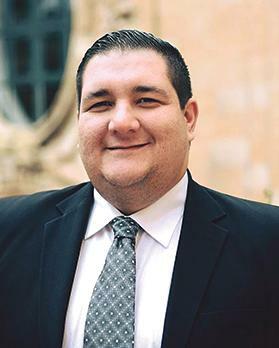 Nigel Vella, who until the last general election was the Labour Party’s official spokesman, was appointed by Digital Economy Parliamentary Secretary Silvio Schembri to serve as a governor of the board of the newly-established Malta Digital Innovation Authority, tasked to act as the regulator of the blockchain industry on the island. Mr Schembri’s portfolio, including the authority, is overseen by the Office of the Prime Minster, for which Mr Vella works. The latest appointment will boost Mr Vella’s public remuneration by an extra €3,500 a year, in addition to his already generous taxpayer-funded salary as part of the OPM’s spokesmen team. It is not yet known what expertise Mr Vella holds in the blockchain industry. Asked to state whether members of the board of governors, who are already on a government salary either through normal employment or as persons of trust, still receive the governor’s honoraria (€3,500 a year) over and above their salary, a spokeswoman for Mr Schembri confirmed that this was the case. “Persons who are nominated on the board in their personal capacity and not in representation of the entity they work for, are entitled to a remuneration as per standard procedures,” she said. “This procedure is the same one adopted under previous administrations,” she claimed. Times of Malta is informed that under previous National governments, board members of public entities who were already on the government’s payroll either as civil servants or members of ministry private secretariats were not entitled to receive any extra remuneration as board members. According to this practice, membership of public boards by civil servants or other employees on the public payroll was considered to be part and parcel of their official duties. In most cases, board meetings are held during normal working hours. Mr Vella joined the OPM’s spokespersons team immediately following the 2017 election as a person of trust of Dr Muscat. All five members of the team, led by former Labour spokesman Kurt Farrugia, are employed on a person of trust basis and receive tens of thousands of euros in remuneration and allowances. All members, except one, used to be directly employed by the Labour Party prior to the 2013 general election.